Mistake: Taking the six months’ worth of “bonus” benefits that the Social Security Administration (SSA) is offering. For people who delay starting their Social Security retirement benefits, the monthly payments they receive grow bigger the longer they wait, up to age 70. But some people in their late 60s have received calls from the SSA telling them that if they agree to start their benefits immediately rather than wait until a later age, they can get a lump-sum check equal to six months’ worth of benefits. This really isn’t a bonus at all—for anyone who takes the offer, the size of monthly checks received will be lower just as if the person had started receiving benefits six months earlier. Most people eventually will come out behind if they accept such an offer. Receiving a big onetime Social Security check also increases the odds that a portion of your Social Security income will be taxed during this first year. What to do: If your plan is to maximize your monthly check by delaying the start of benefits, stick with this plan even if the SSA tries to tempt you into starting earlier with a lump-sum ­payout. The lump sum isn’t really a special offer anyway, despite how the SSA might make it sound—this option always is available to anyone who applies for their benefits six months or longer after they become eligible. Mistake: Missing out on “free” spousal benefits. The Social Security system usually rewards patience. But there is absolutely no reason to continue waiting to claim spousal benefits based on your spouse’s earnings record beyond your own full retirement age. Spousal benefits stop increasing once this age is reached, as do survivors benefits, so waiting any longer will only cost you money. There is one valid reason not to claim spousal benefits at full retirement age, however—if your spouse is not currently collecting his/her own retirement benefits, you will not be allowed to collect your spousal benefits until he does (unless he filed for his benefits and then “suspended” them by April 29, 2016). What to do: If you have reached your full retirement age and your spouse is collecting Social Security retirement benefits, go ahead and claim any spousal benefits that are ­available to you. Mistake: Starting your benefits before age 70 because of a short “life expectancy.” If you use an online ­Social Security calculator to figure out the best age when you should start your benefits, there’s a good chance that it will base its answer in part on your life ­expectancy—an estimate of how long you will live based on factors such as your current health and your parents’ life spans. If your life expectancy is not long, the calculator likely will advise you to claim benefits relatively soon. This makes some sense if your goal is to maximize the amount you get from ­Social Security. But it does not make sense if your goal is to reduce the risk that you will outlive your retirement savings and end your days in poverty—and that is the primary goal most people should pursue with their Social Security benefits. Social Security benefits are an excellent retirement insurance policy because you cannot outlive them—your checks will continue to arrive each month as long as you are alive to receive them. But they might not be large enough to protect you against retirement poverty if you claim them early—the typical person who starts his benefit at age 62 receives just $1,077 a month. But whatever amount you are due to receive, you could get a whopping 76% more each month if you claim at age 70. Mistake: Accidentally starting both your retirement benefits and your survivors benefits. Widows and widowers be warned: If you are eligible for benefits under both your own earnings history and your late spouse’s, the SSA inadvertently might start both benefits when you ask to begin just one—even though starting both likely makes absolutely no financial sense for you. Some retirees lose hundreds of thousands of dollars because of an SSA error. Although widows and widowers are eligible to claim either survivors benefits or—starting at age 62—benefits based on their own earnings history, they cannot receive both at the same time. If they file for both, they essentially will receive only the larger of the two, and because they filed for both benefits, ­neither will continue to increase in size as it would have if they had waited. That means the best strategy generally is to start one of these benefits when you become eligible to do so, but let the other remain unclaimed until it reaches its largest possible amount, likely years later. That could mean starting survivors benefits as early as age 60 and waiting to file for one’s own benefit as late as age 70…or filing for one’s own benefit as early as age 62 and not filing for survivors benefits until full retirement age. 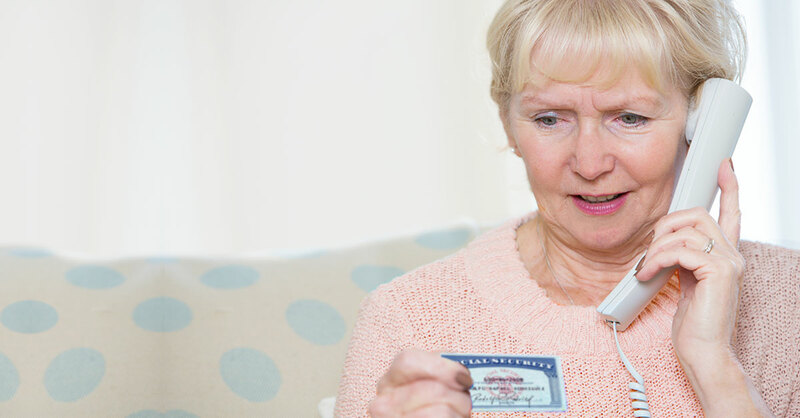 Unfortunately, when widows and widowers ask the SSA to start one of these benefits, Social Security employees sometimes start both, robbing ­recipients of their chance to allow the other benefit to continue to increase. What to do: Widows and widowers should write, “I am applying for my retirement benefits. I am NOT filing for my survivors benefits” or vice versa in the remarks section of their benefits applications. That way you can prove that the SSA, not you, made the mistake if you do get signed up for both. The SSA usually will correct its mistake only if you provide strong evidence. What to do: If a child who is providing most of your financial support passes away, contact the SSA to check whether your survivors benefits based on this child’s earnings would be larger than your own benefits. If you are providing financial support to your parent, make sure that your parent knows to look into this if you die…and inform other family members about it as well, in case the parent is no longer able to handle complicated financial ­affairs if and when the time comes. What to do: If you have not yet reached age 70 and now regret claiming retirement benefits as early as you did, consider suspending your benefits until you reach age 70 to increase the size of your future checks.